Team Black Press hasn't added a story. Black Press is offering its readers the opportunity to contribute to the Fort McMurray relief efforts. Please join us in supporting the Canadian Red Cross. Both the federal and provincial governments are matching donations to assist the estimated 83,000 residents who were displaced by the wildfires. You can donate as little as $5 by clicking on the donate button. Alberta has declared a state of emergency as crews continue to battle the raging wildfires that have forced the largest fire evacuation in the province's history. More than 1,600 homes and structures have been burned to the ground and the displaced residents are in desperate need of support. Black Press is the largest independently owned newspaper company in Canada with more than 150 titles in print and online. Team Black Press hasn't posted any updates yet. The Canadian Red Cross Society La Société Canadienne De La Croix-Rouge is managing the funds for this campaign. 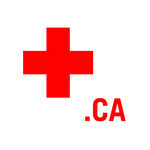 The Canadian Red Cross Society La Société Canadienne De La Croix-Rouge is a verified organization.